Michael O’Leary, the eccentric president of the Irish airline Ryanair, presented himself in mid-December 2009 in Malaga airport dressed as Santa Claus and announcing that they would create a basis in June and that they would move two million people due to the implementation of the new terminal T3. 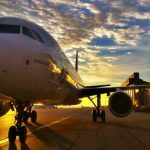 Despite the particular show, these predictions have been fulfilled and Ryanair has become the first company at Malaga airport. 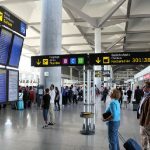 The Irish airline carried last year 2.1 million people from or to Malaga airport, almost the double than the previous year, and snatching the lead of the also low-cost carrier Easyjet, according to data from Spanish Airports and Air Navigation (Aena). The first six airlines at Málaga airport are low cost. 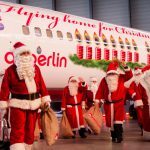 Vueling has risen to third place – in 2009 was the seventh – and you have to drop to the seventh place to find the traditional Iberia, followed in short order by Air Europa and Spanair. 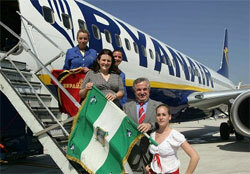 Ryanair’s strong growth is not accidental but responds to the wide deployment of the company in Malaga. Currently, it has 47 direct connections with several parts of Spain and Europe and is being more active in opening new routes. 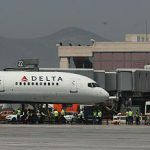 However, it was not all plain sailing for the company since late last year half thousand people gathered at the airport to protest the dismissal of a dozen employees. Other airlines have not welcomed the way in which Ryanair has landed in Malaga, with an alleged payment of subsidies by government. The emergence of low cost airlines has distorted the market. Some companies, like the case of Ryanair itself, offer tickets to five Euros or less which has opened a difficult trade fight between all companies, causing mergers and all kinds of internal motions. Furthermore, Aena also provides statistics on all cities operating with Malaga airport. In 2010 the star destination was again London and, more specifically, Gatwick Airport. There are thousands of locals of Malaga and Andalusians traveling to Britain, although most are British passengers who travel regularly to the Costa del Sol to play golf, enjoy the beach or spend a few days of rest in their homes.